It seems like everyone is enjoying the chance to celebrate a wedding day in their favorite destination by the couple to spend their unforgettable honeymoon. Here are the top-four favorite honeymoon destinations in Indonesia. It’s not hard to understand why Bali never fails to charm us. Not only rich in culture, this island is also blessed with beautiful landscapes and an exciting lifestyle. 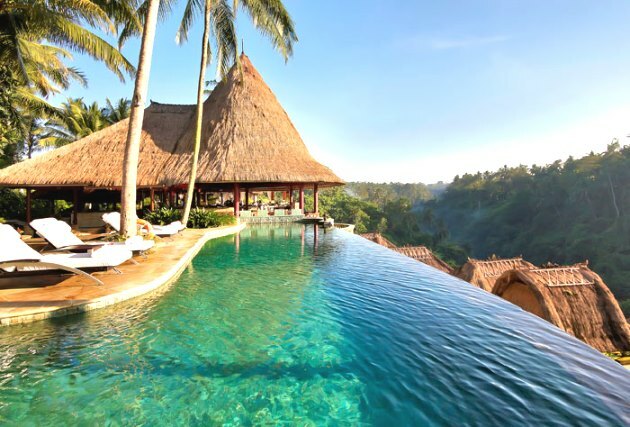 There are many lovely destinations for honeymoon in Bali island. In addition, there are a lot of attractions that are offered on the island, from stunning beaches, fantastic party life and leisure activities. Bandung that is called as the Paris of Java has a lot to offer. Bandung offers a unique experience of urban life in a city that is surrounded by a stunning mountainous landscape. Bandung has cooler air so that this city attracts a large number of visitors for their honeymoon destination. It is recommended for honeymoon mostly because its fresh air, delicious culinary treats and elegant Dutch architecture, which has been given new life by enthusiastic restaurateurs. Yogyakarta is the most secret romantic oasis in the Java Island. Where else, you can escape to celebrate your everlasting love. If you want to learn more about Indonesia’s royal life, you should do a honeymoon. This city is known for its slow-paced life, rich culture and delicious traditional Javanese food that offers a soulful experience unlike anything you’ve had before. There are the sultan’s palace, which is known as the keraton, or pay homage to Indonesia’s most majestic temples, which are Borobudur and Prambanan. Batam Island is mostly known as a transit destination for visitors heading to the neighboring country Singapore, or a favorite place for Singaporeans for honeymoon. There are a couple of stunning beaches, historical emblems, epic natural sceneries and vibrant night life among other attractions. 1 Response to "4 Most Popular Honeymoon Destinations in Indonesia"